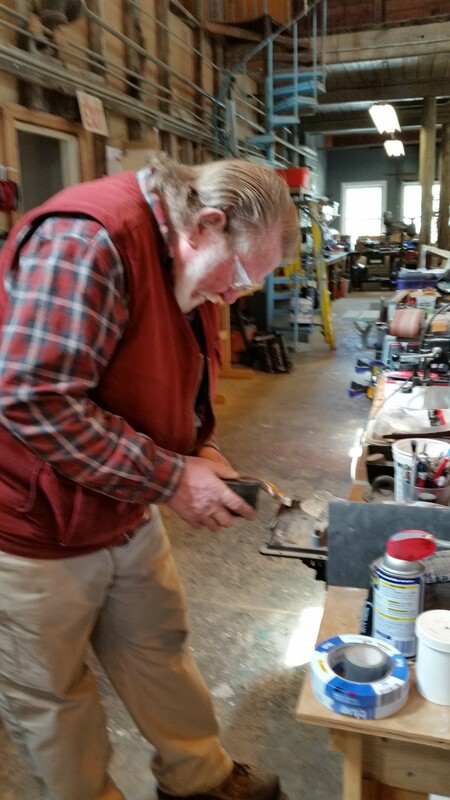 Bill and Keith have been working on metal collars for the spreader. The inboard collar has been fastened to the mast and we’re fitting it to the wooden spreader as shown. 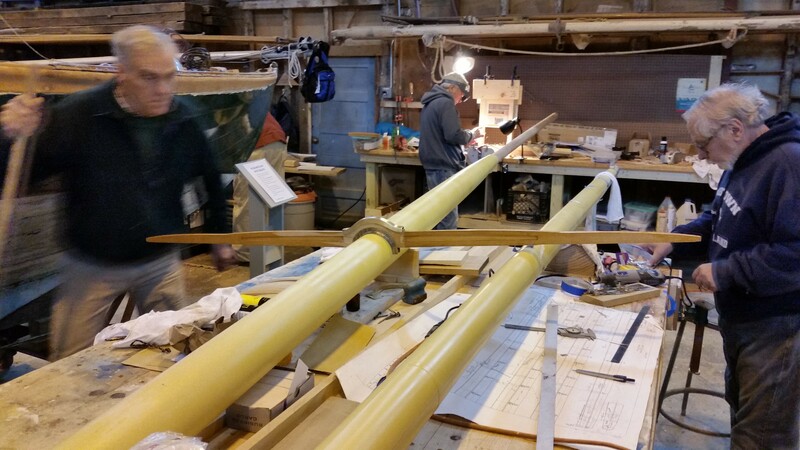 This entry was posted in Project Manager's Welcome and tagged Bill Lawton, building 28, collars, Herreshoff, Herreshoff Marine Museum, Keith Bradley, RELIANCE, Reliance Model, RELIANCE Project, spreader, topmast, topsail yard on April 4, 2015 by Herreshoff Marine Museum/America's Cup Hall of Fame.